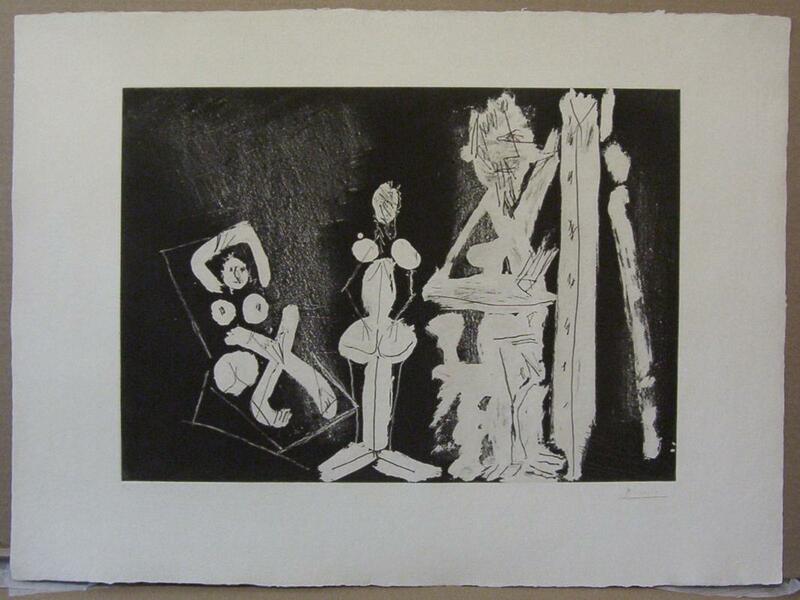 This is a genuine 1965 Picasso aquatint entitled "dans l' atelier" ("in the studio"). Bloch number 1229, Baer number 1212. Depicted is the artist and two female subjects. Signed and numbered (4/50) in pencil by the artist. 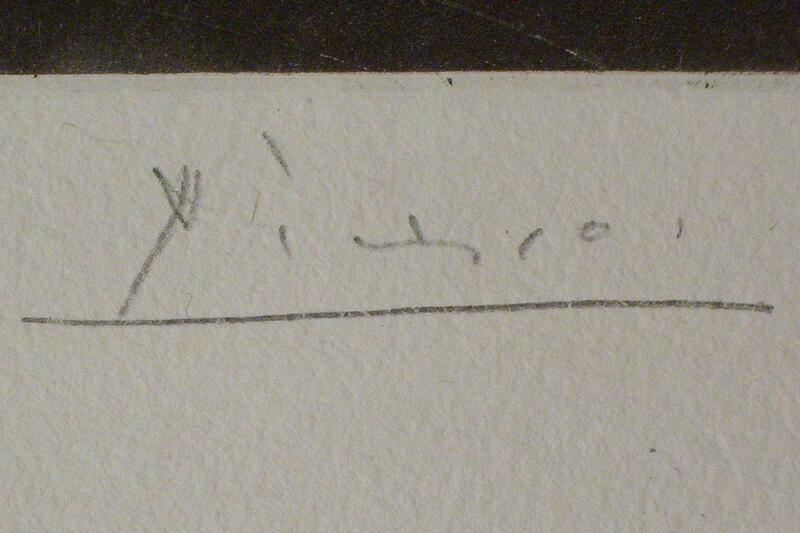 Full margins. Sheet measures approximately 22.5" x 30 3/8" (57 cm x 77 cm) and printed area measures 15.5" x 21.75" (39 cm x 55 cm). Printed by Roger Lacouriere of Paris. 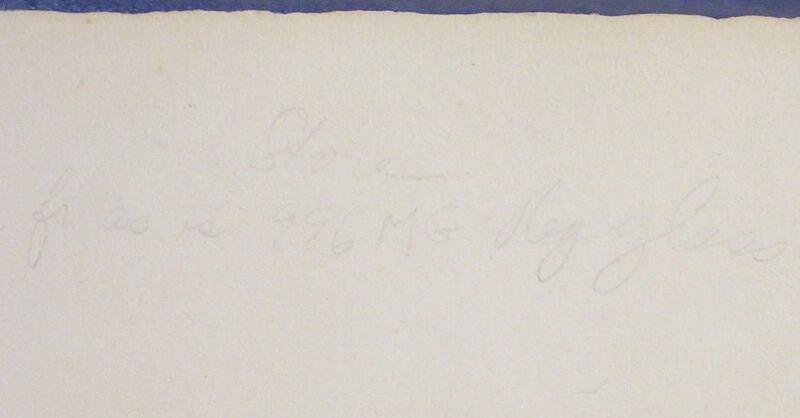 Lacouriere oval watermark in the lower left corner reads "ATELIER...LACOURIERE...PARIS" (Image below shows reverse side). 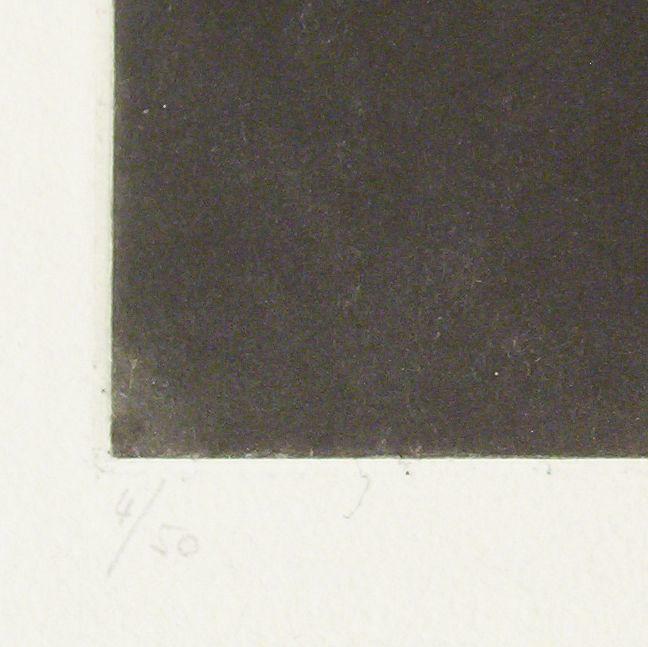 This aquatint is being sold on behalf of a collector on the upper west side in Manhattan (New York, NY) who purchased the piece in Paris in 1970. In 2005 it was restored by Alan Firkser of Paper Conservation Studio, Inc., 1841 Broadway in New York, NY, and its condition is excellent. 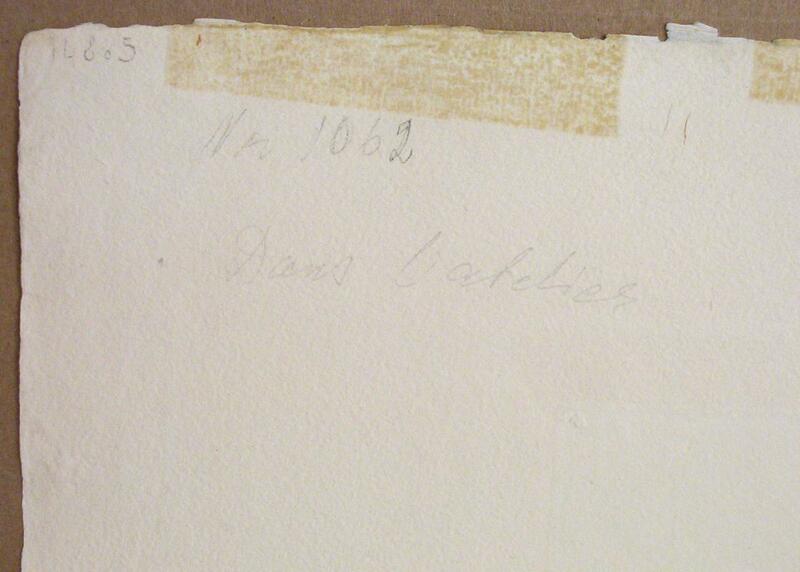 Restoration included removal of sticky adhesive residue from the rear (adhesive stain remains), treatment to the matte line, cleaning of the overall sheet, deacidification, sizing treatment, and flattening. 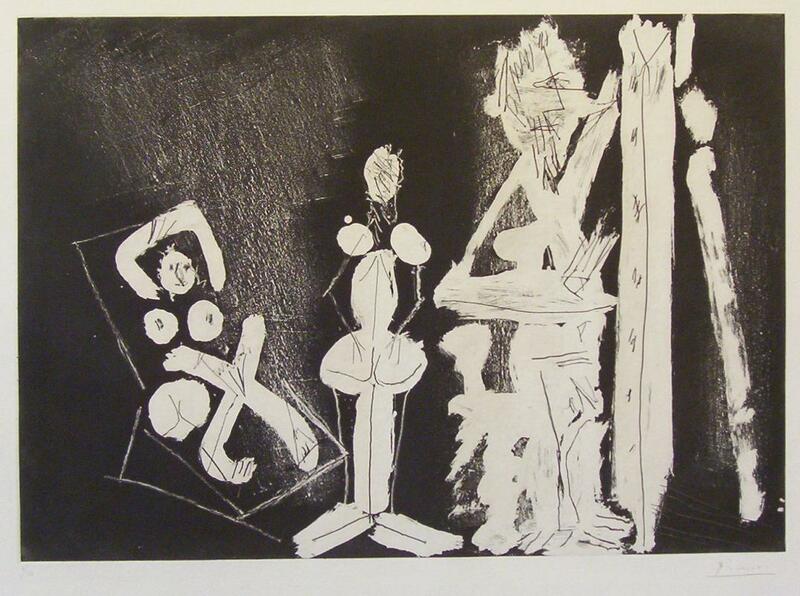 Items Similar To "Pablo Picasso Limited Edition Aquaprint dans l' atelier (1965)"